Jessica Wolf Spiegel joins our team after many years as a Jewish day camp director. She’s run Jewish summer camps in New York City and Northern New Jersey, and is looking to bring the ruach (energy) of camping to the NNJJA students. 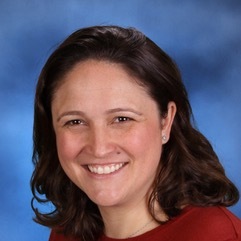 Jessica has a master’s degree in Jewish education from the Jewish Theological Seminary and an undergraduate degree from the University of Wisconsin in Madison. She grew up in Teaneck, and now lives in Haworth, NJ with her young kids. Over the summers, Jessica spends her time as the Director of Camp Services at the Henry Kaufmann Campgrounds in Pearl River, and during the year, she volunteers with the American Camp Association.